One of the missions of our society is to support innovation and scientific research in the field of cardiothoracic surgery. Although there is enough opportunity during our annual meetings to present data regarding the individual studies, less opportunity exists with regard to research projects as whole with preliminary results. 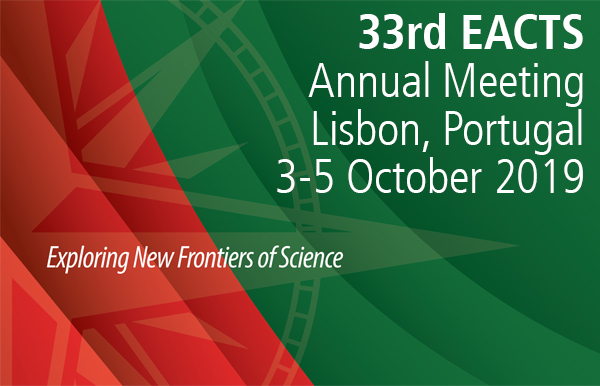 Therefore, we would like to inform you that during this year’s annual meeting EACTS once again will organize a session for our young colleagues to present their projects and preliminary results. The incentive is to create an opportunity for innovative work and thinking to be presented, and create a forum whereby new ideas could be exchanged and new cooperation’s forged. The focus is the project as whole, its possible implications for our specialty and its future perspectives. To stimulate our researchers to present their work we are pleased to announce the EACTS-AATS Foundation Academic Excellence Award at EACTS for the most promising and innovative project. This award is an initiative of two prominent cardiothoracic societies and is reflective of importance that the two societies adhere to innovation and research in our field. We hereby would like to request, our members and colleagues around the world to submit their abstracts on ”work in progress” according to specific guidelines as shown below and apply for the EACTS-AATS Foundation Academic Excellence Award at EACTS. The deadline for submission of abstracts and application for the award is 31 July 2019. As the focus of this new forum is the research project with preliminary results, the submission of related manuscript to EJCTS or ICVTS is not mandatory but possible. Please follow the instructions below otherwise your abstract cannot be selected for review. The first author should be a Trainee Member of the Society or applied for this. Maximum of 5 references including at least one published original manuscript reference with the presenter as the first author linked to the project. The text and the title should be free from abbreviations, except those commonly used (e.g. LVEF, CABG, VSD, ASD etc).